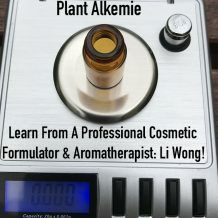 Formulation Tip: Scales For Measuring Small Amounts Of Essential Oils And Other Ingredients | Welcome to Plant Alkemie! I recently talked about a few aromatherapy and essential oil formulation myths and misconceptions in the Beyond The Essential Oil Recipe Online Summit. In my presentation, I talked about choosing the right type of scale, when measuring milligrams (mg) and grams (g). Here is some more information on choosing a scale to use when formulating products. This short article is part of my tip article series. 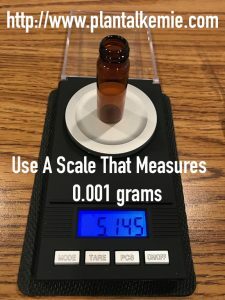 What Type of Scales Should You Use For Measuring Small Amounts Of Essential Oils, Absolutes, CO2 extracts, Oleoresins, and Other Ingredients? When measuring aromatics use a scale that goes down to 0.01 grams. When you are measuring small amounts of ingredients, it is best to use a scale that measures down to 0.01 g or better yet 0.001 g. This is important when you are measuring certain ingredients in tiny amounts, such as essential oils, absolutes, CO2 extracts, oleoresins, etc. These measurements are fractions of a gram, so when buying a scale pay very close attention to the measurements that it goes down to. There are many ‘gram scales’ but not every gram scale can be used to accurately measure tiny amounts of essential oils, since their units do not go down enough. For example, many gram scales only measure by the full gram, such as 1 g, 2 g, and so on, and they do not measure mg or lower. Or another example, many people buy scales that go down to 0.1 g, since they tend to be less expensive. 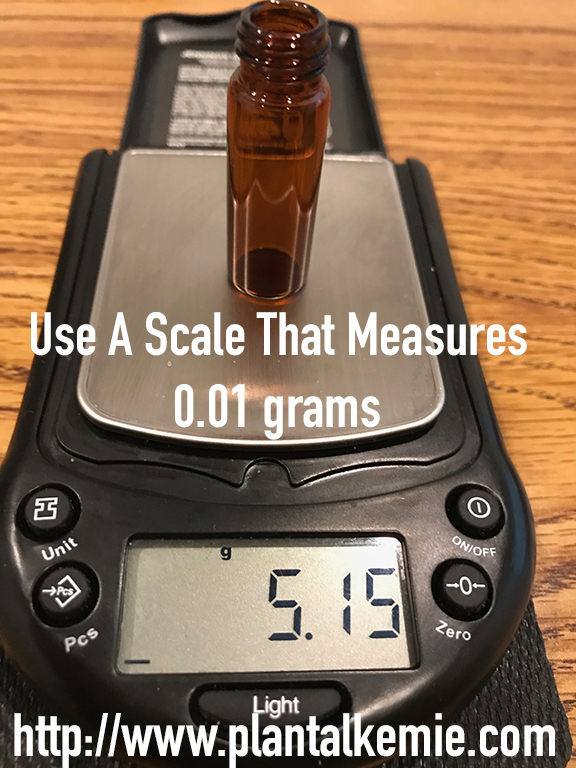 However this is not low enough to accurately measure small amounts of essential oils and other aromatics, since many cosmetic formulators consider a ‘drop’ to be about 30 mg or 0.03 g.
Or use a scale that goes down to 0.001 grams! Scales can get expensive: usually very accurate ones cost a couple hundred or more, however, you can still find good quality ones that cost between $20-50. I have several scales, but a couple of the scale brands I recommend are Jennings and My Weigh. Ohaus is also supposed to be good, but they are very expensive. If you have questions about aromatherapy, herbalism, formulation, perfumery, eco living, and natural skin and hair care, please join Plant Alkemie’s Facebook group and Plant Alkemie’s Facebook fan page. And be sure to check out more articles on Plant Alkemie’s website: http://www.plantalkemie.com. I love reading your articles Li and following you on facebook. Your knowledge is so vast. Glad we connected! Thank you very much Rehne! I am so glad we connected too <3 Have an amazing day!